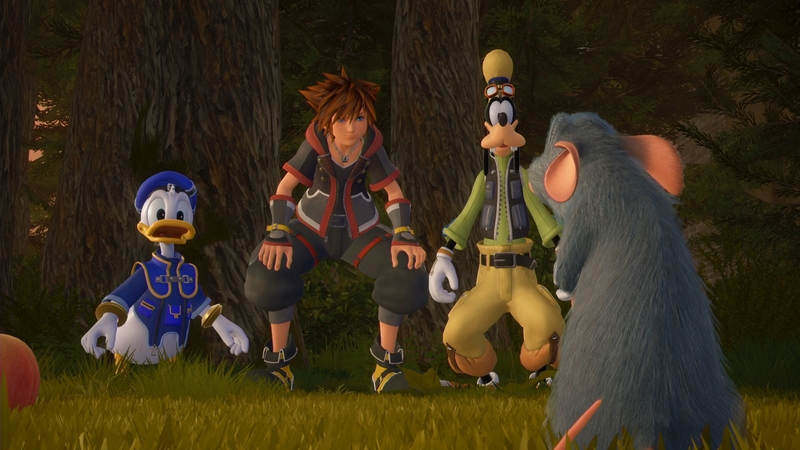 It isn't long until the much anticipated Kingdom Hearts III will be available on PlayStation 4 and Xbox One. 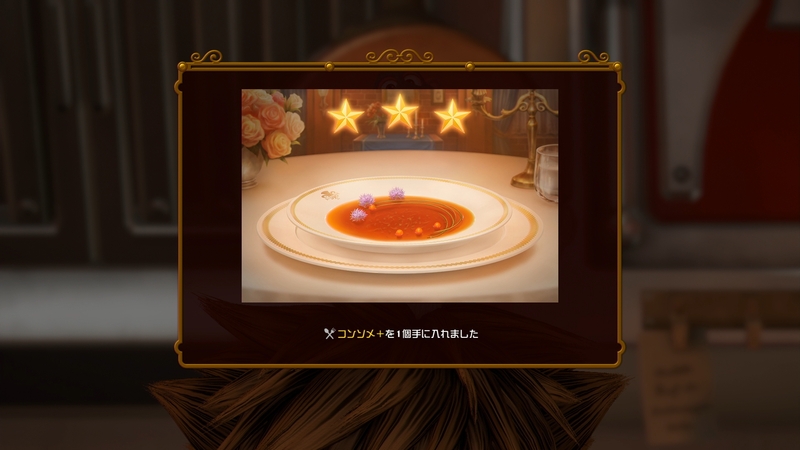 In the meantime, Square Enix have released a set of new renders and screenshots from the game, highlighting Remy's cooking minigame, selfie mode and additional Classic Kingdom games have been released! 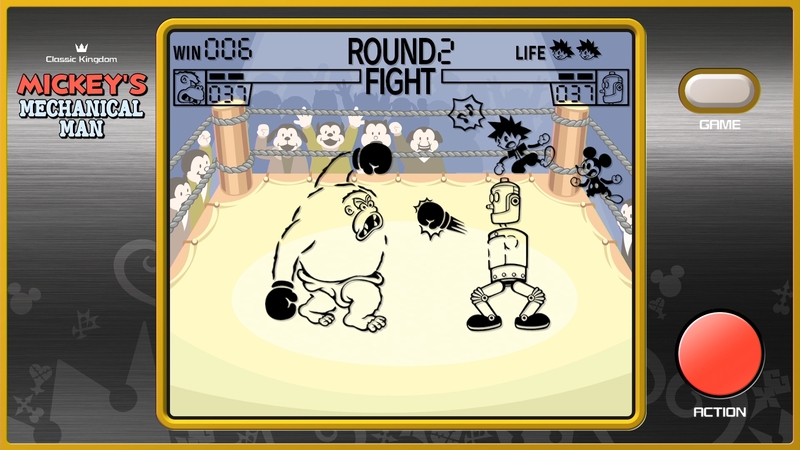 Additional Japanese screenshots via GAME Watch. Sorry about that thread I opened! I wasn't sure if those images were going to warrant a news thread. Again, apologies! These are all great! 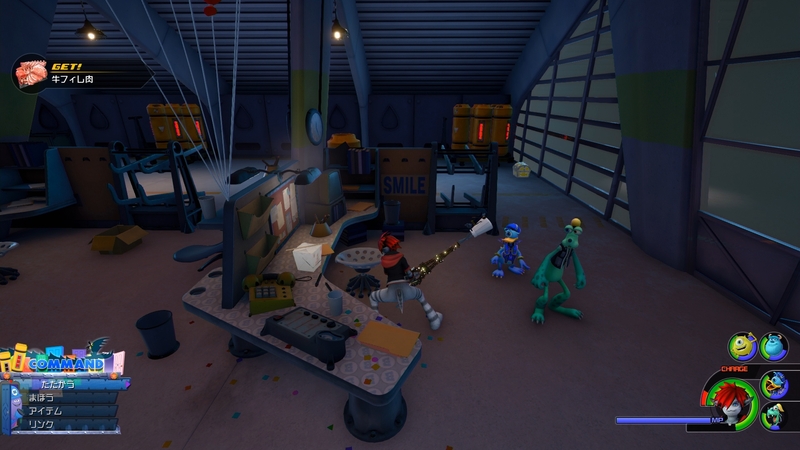 I love the little new areas being shown for Monster's Inc (with Sora at the desk, looking like he's getting ingredients for Remy from that Chinese Takeout Box?!) and Arendelle - it looks REALLY cold. I wonder what the text on screen is there. The text is saying "Looks like there's some ingredient nearby", so it's either Donald or Goofy pointing out a location. Loving that our time with Remi is a little more than just "oh, here's this rat that can cook stuff for you." But dang it, this damn game is making me hungry. I'm gonna have blast taking selfies in this game. 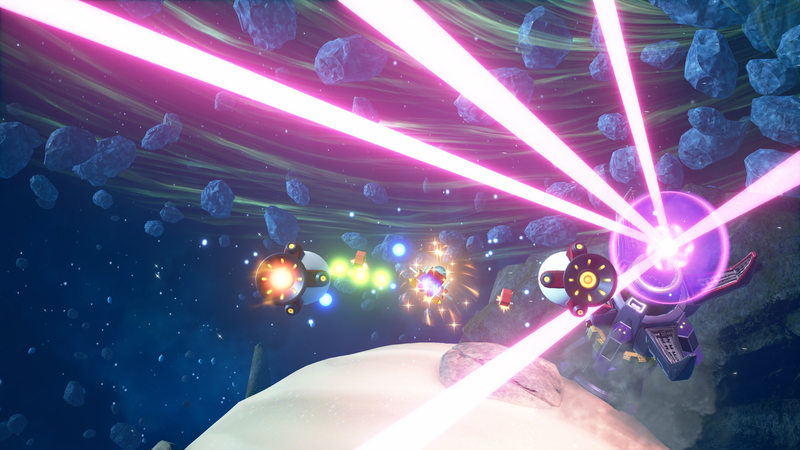 This game just looks so fun! 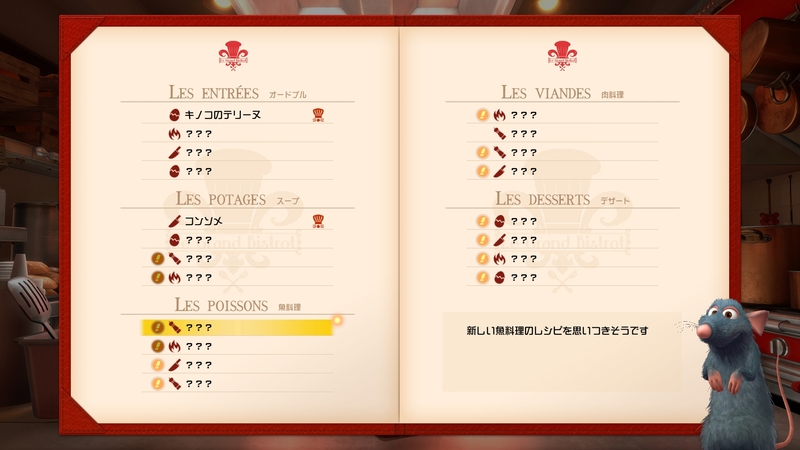 I love what they did with Remy and the cooking quests / mini games. Also.. I love the detail on the Scare Floor. 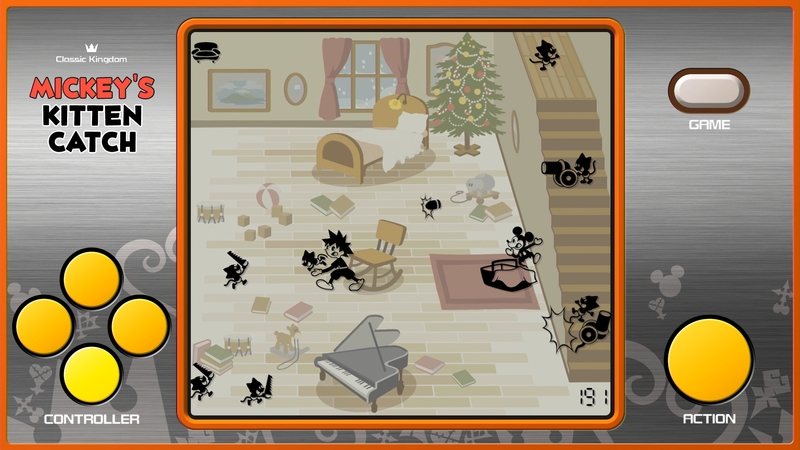 That little desk chair has like 11 wheels and legs to coincide with the monsters that have many legs in Monsters Inc.
Once I finish a few things, Iâ€™ll be posting translations of what the items and visible recipes are. 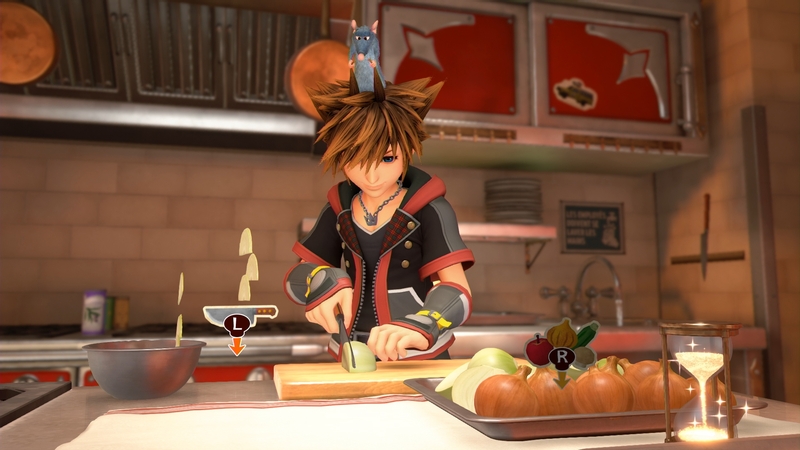 Pizza Planet truck as a sticker on the cabinets on the very last screenshot of Remy and Sora cooking! 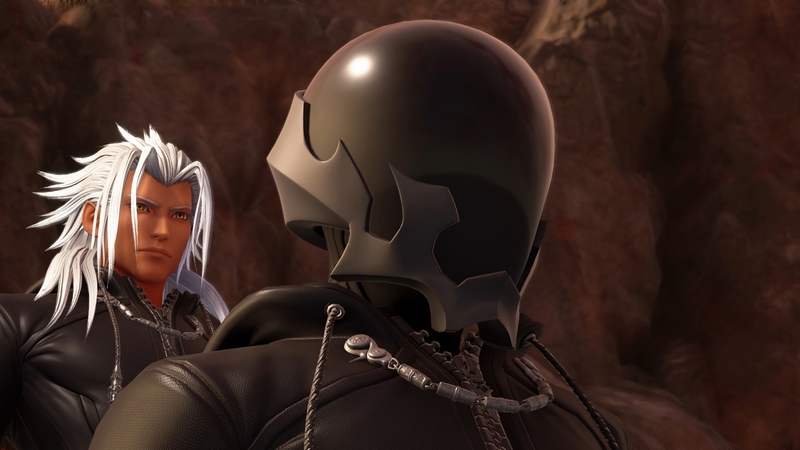 Since a couple of these screenshots (cooking with Remi, Xemnas and Vanitas) are from previous batches I wondered if maybe they've been changed slightly, but nope! They're exactly the same save for the placement of the copyright stuff. 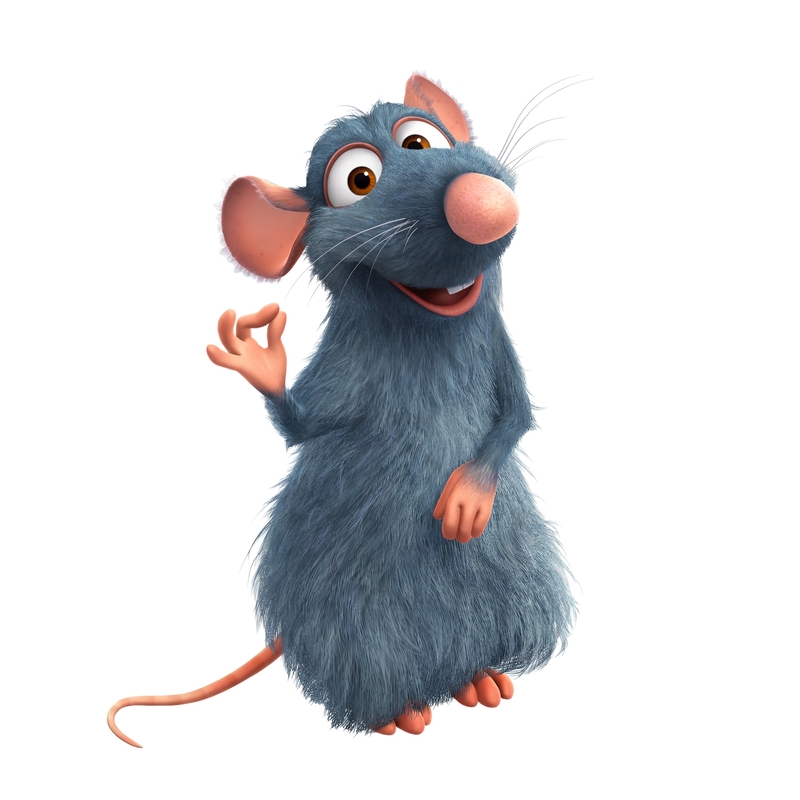 I was never a major Ratatouille fan, but I love how Remy and the cooking system have been worked into this game. 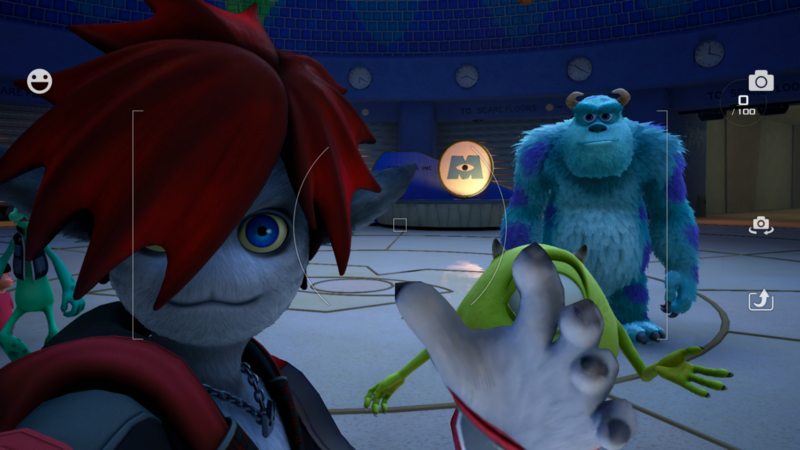 Can't wait to take selfies while battling Xehanort! Okay, don't think that can happen but that would be hilarious. 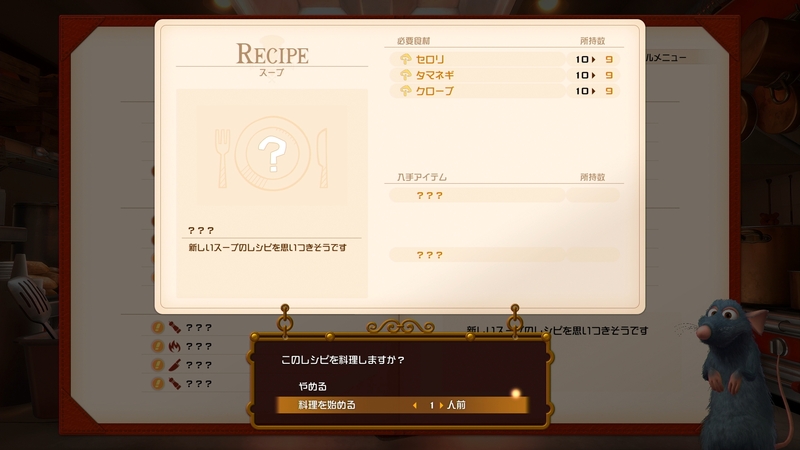 Also can't wait to do the cooking mini game, sounds like fun. Any hopes of seeing new renders before the game releases? Mushroom names don't translate well into Japanese, let alone into arbitrary katakana! But I have learned more about mushrooms in the last hour than I expected. I wanna take selfies during battle so badly and I'll be pretty miffed if we can't. Sweet renders. 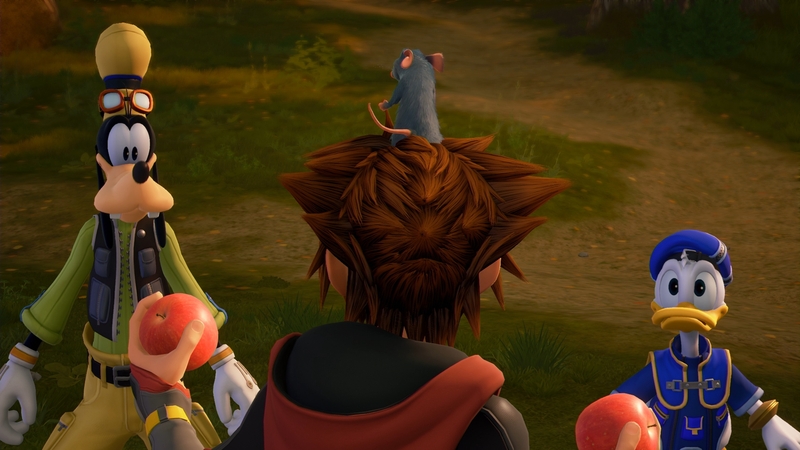 I like how detailed Remy's fur is. 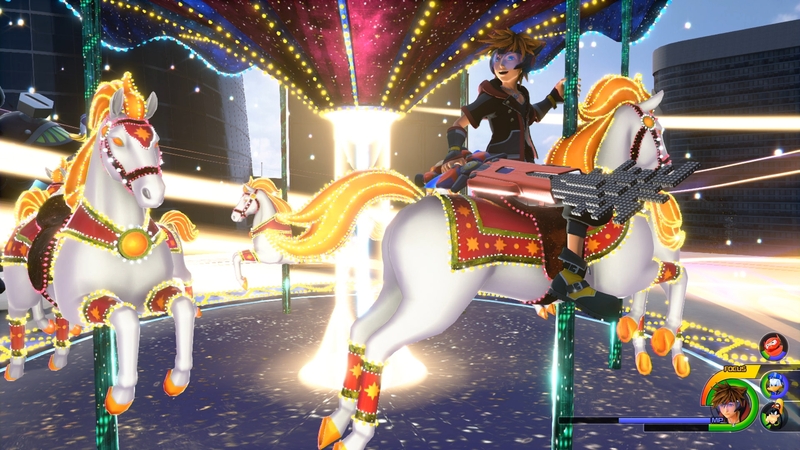 Minor aspect, I know, but I wonder which Twilight Town music will be used. Lazy Afternoon or Sora's TT music (can't remember the name)? 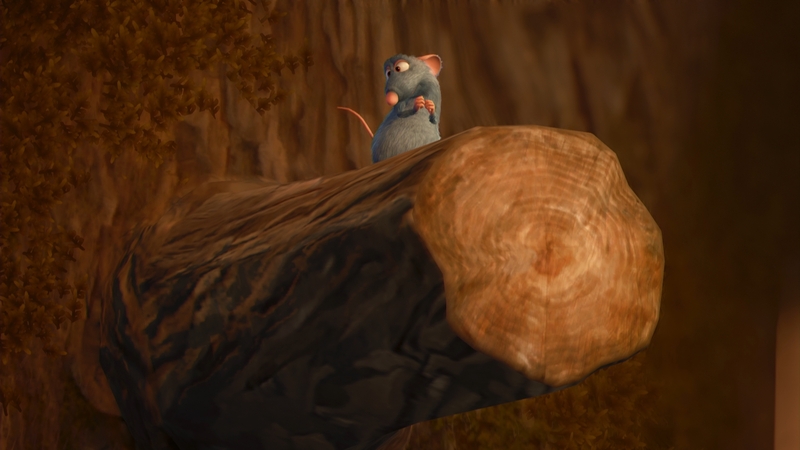 Remy (and Sora) are so dang cute. I think you have the names mixed up "Lazy Afternoons" is what plays in KH2. 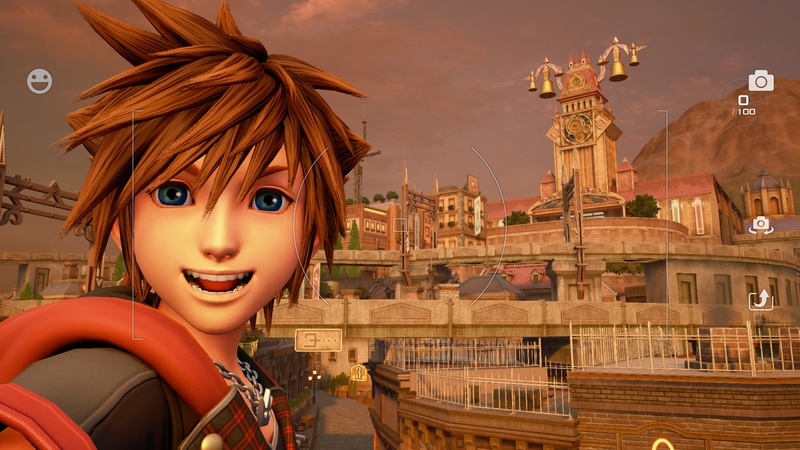 "At Dusk, I Will Think of You..." is what plays in Days for Twilight Town. 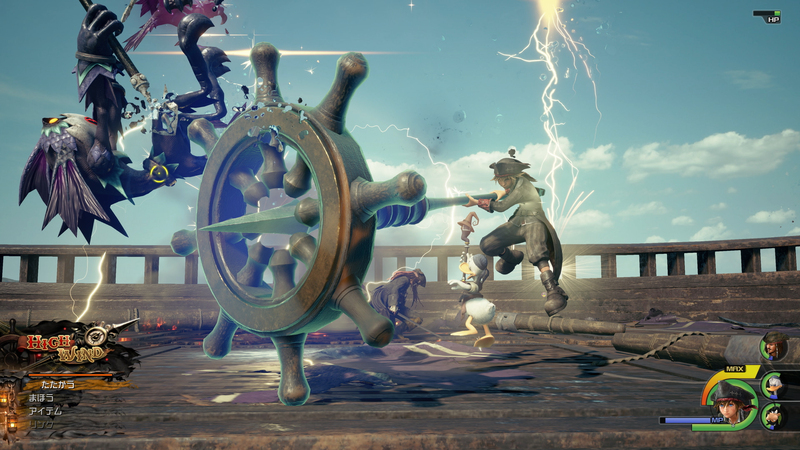 With how this game is catering to a more KH2-oriented crowd, I imagine that "Lazy Afternoons" is the main theme of Twilight Town and we'd hear "At Dusk, I Will Think of You..." at special moments. 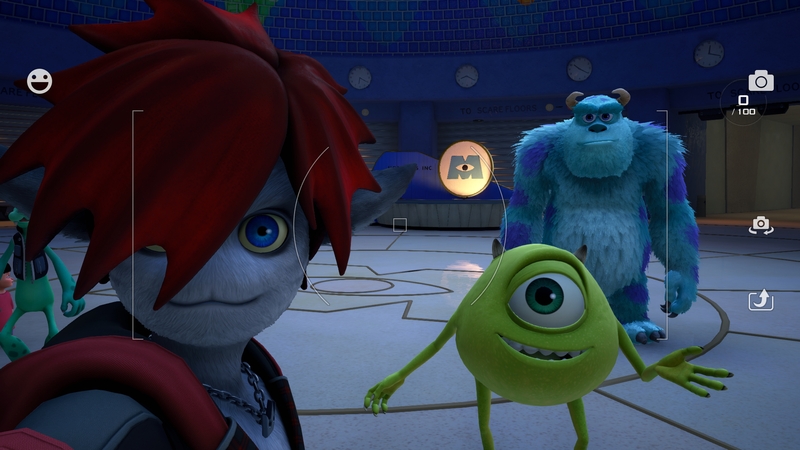 I mean the two different Twilight Town themes, the one for Roxas' prologue, and then the music changing for Sora....but I probably do have the names mixed up. Do you mean the battle themes? 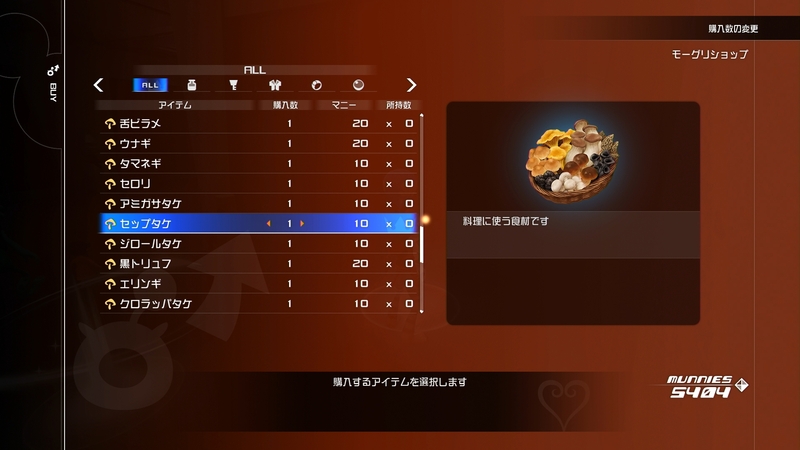 The field theme is the same between Sora and Roxas, but their battle themes are different. EDIT: OH NO I'm mistaken. I'm blaming it on a lack of sleep while I packed. "Lazy Afternoons" for Roxas, "Afternoon Streets" for Sora. 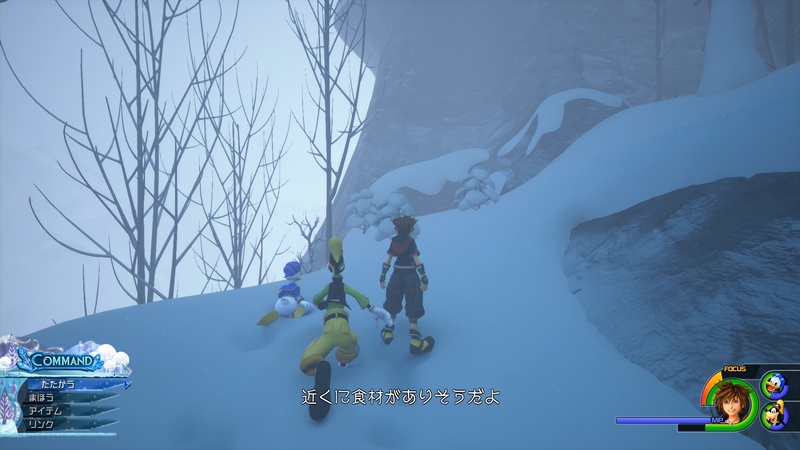 There are two field themes for TT in KH2: Lazy Afternoons is the one that plays when you're playing as Roxas, while The Afternoon Streets is the one you get with Sora, so the question is which field theme is going to be used in KH3. 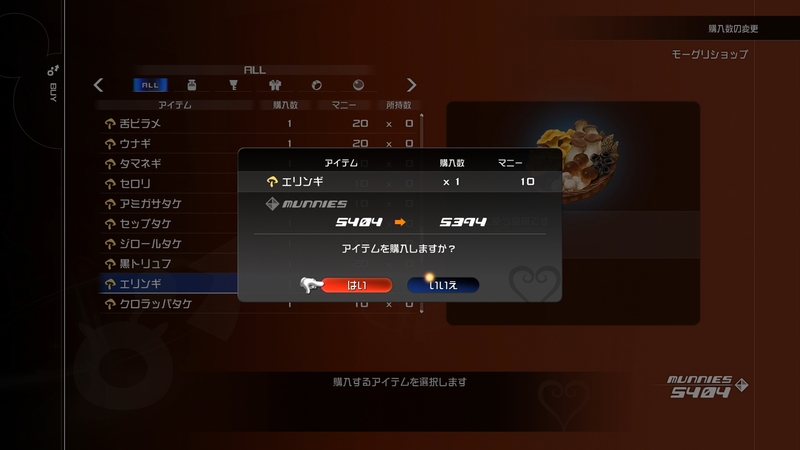 Since we're playing as Sora, probably "his" theme? Don't know honestly. 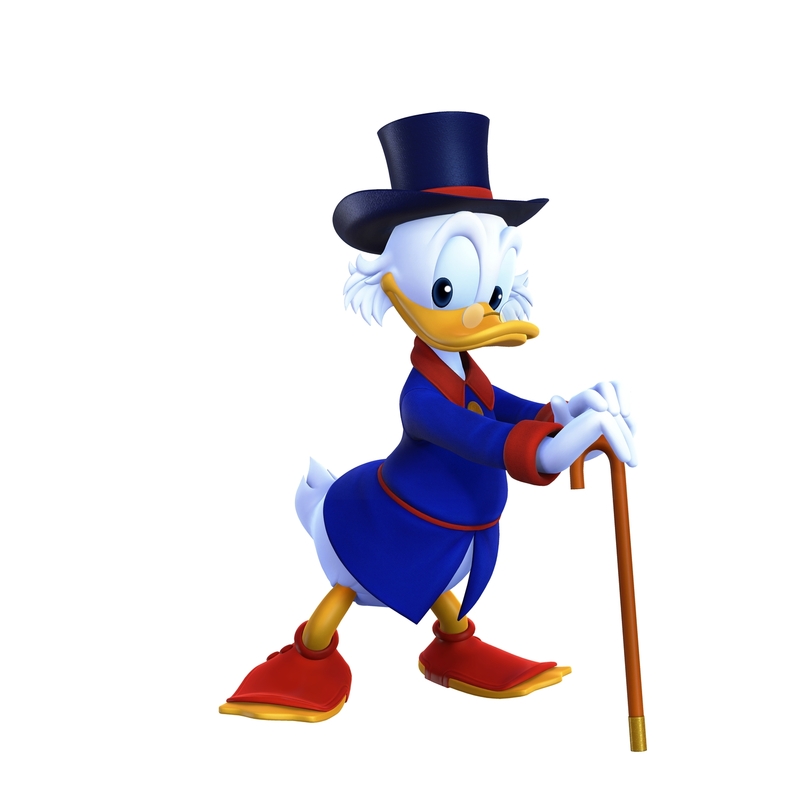 I appreciate Scrooge McDuck's spats. 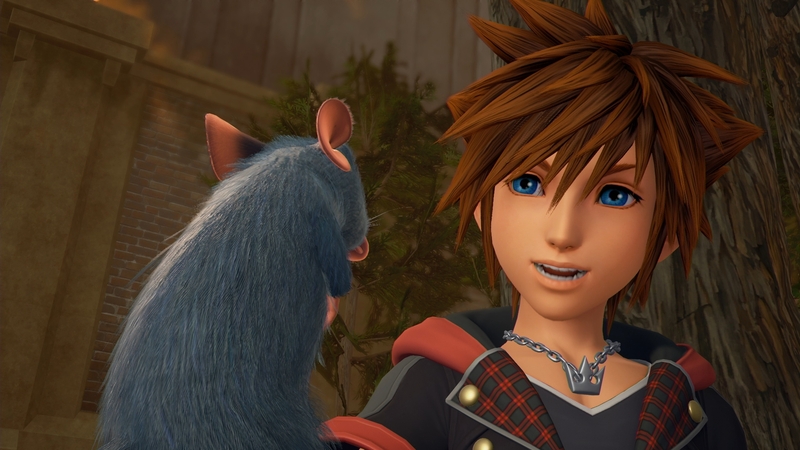 Wow, nice to see more insight on Remy's role in Twilight Town, and the screenshots with him and Sora are cute, it actually reminds me of Linguini's relationship with Remy in the original movie, and the render for him looks incredible. 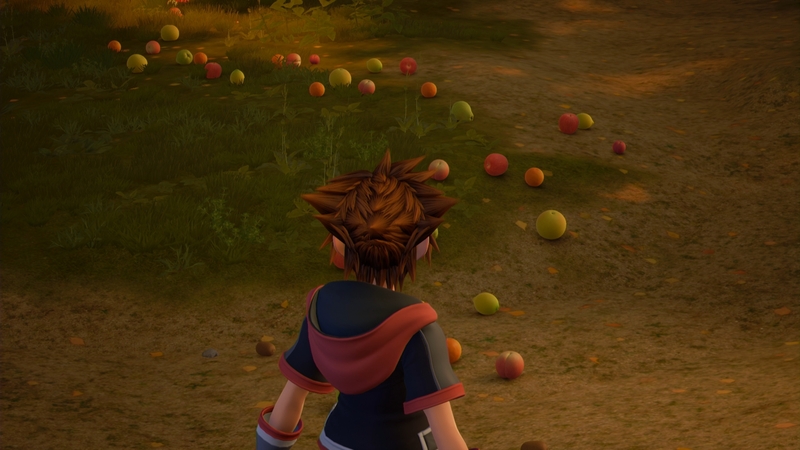 Though I wonder if Remy was actually bringing all these different fruits to Scrooge McDuck and his New Restaurant in Twilight Town or for his family and himself prior to SDG rescuing him from the Heartless. 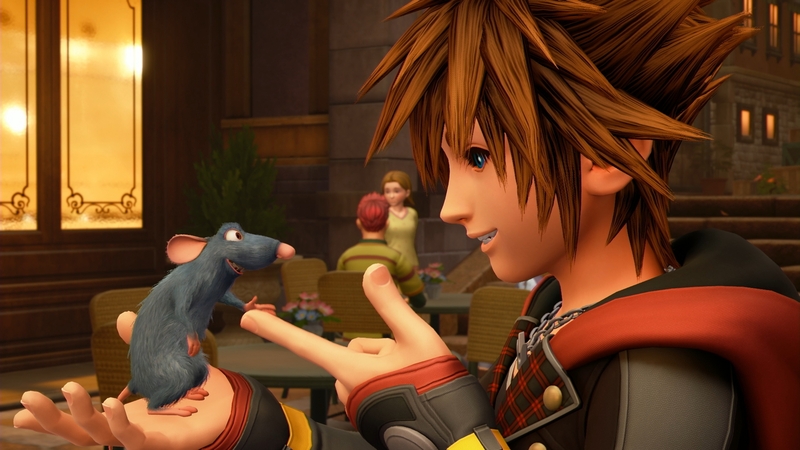 Though I wonder if Remy was actually bringing the fruits to Scrooge McDuck and his New Restaurant in Twilight Town or for his family when SDG rescued him from the Heartless. Just a heads up: we arenâ€™t allowed to discuss the leaks outside of the spoiler section even when using spoiler tags. Might want to remove that bit. 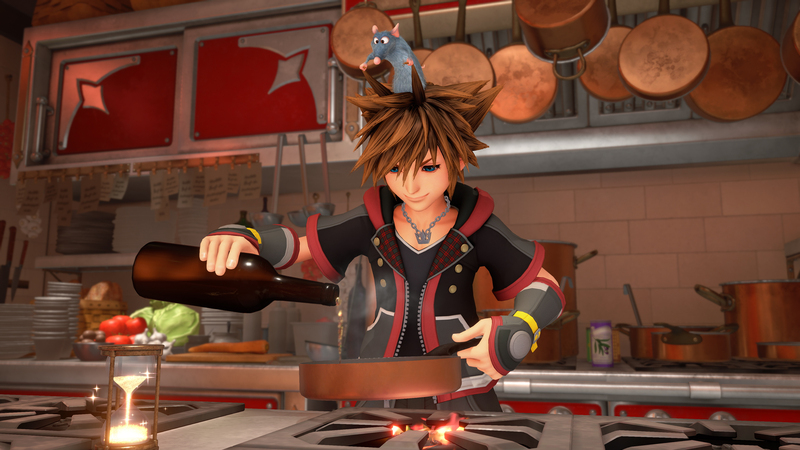 We better get Remy/Sora vs. Ignis cooking showdown or I'll riot. Sorry, didnâ€™t think to remove it from the quote. 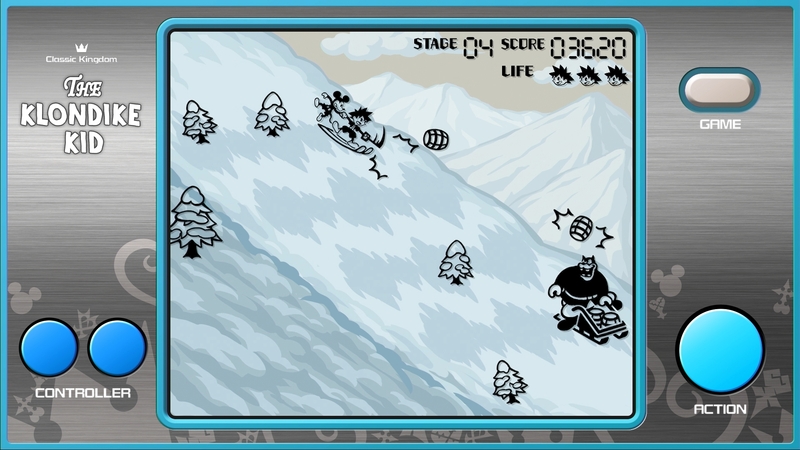 The new Classic Kingdon games look fun! We got new renders, but weâ€™re still missing a ton. Hopefully they release the Org. renders before the game releases. I want the rest of the Org. XIII renders dang diddly! That Chinese is probably from Harryhausen's! I think it's a renaming of "Mickey's Oprhans"? Thatâ€™s definitely it. Great find Audo! 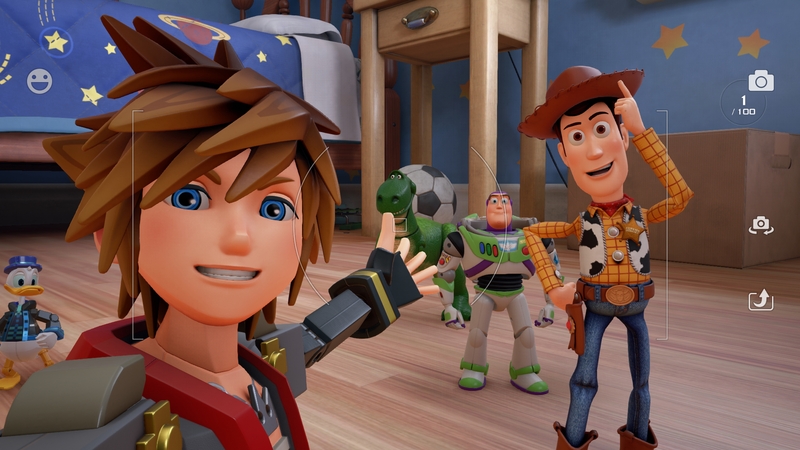 Gotta say I like the little detail that even in the selfie mode, Buzz seems to really reluctant to have anything to do with Sora while Woody is more than happy to pose in the picture. 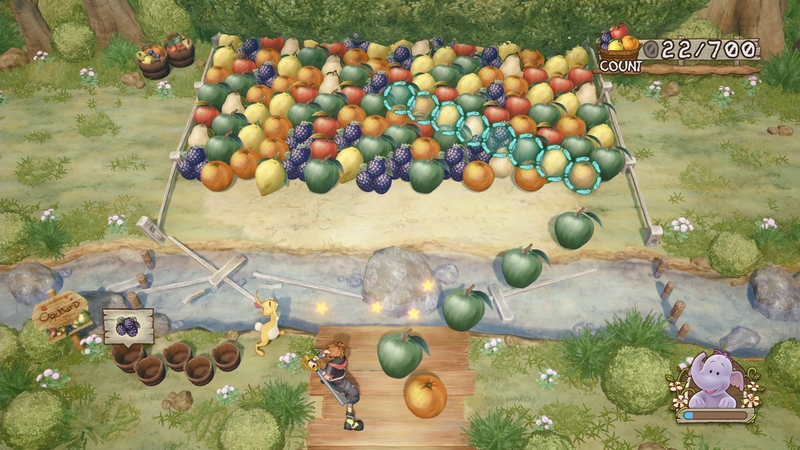 Seeing where all these Classic Kingdom Mini-games is really awesome. I'm really excited there are still some we haven't even seen yet as well. Lol, if that's the case it would be even better if he poses more by the end of the world and on return visits. So, will we get a selfie with Selphie?